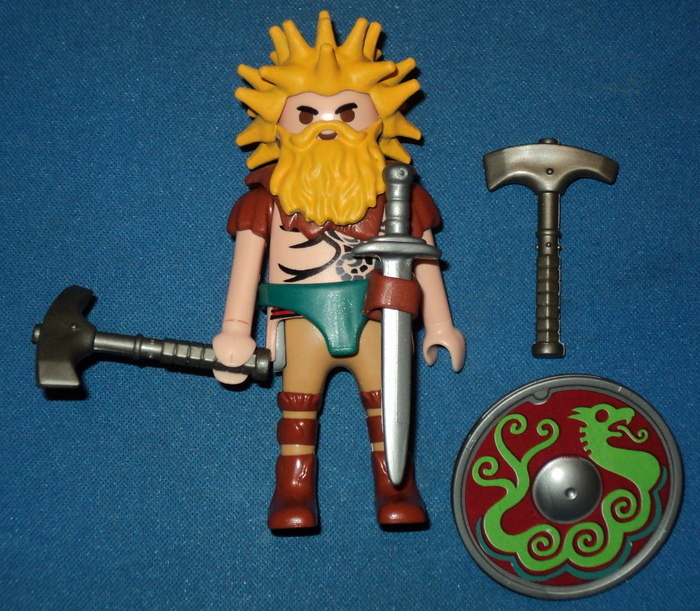 Viking Custom, changed parts and painted hair piece and beard. Wikinger Brauch, geänderten Teile und bemalte Haarteil und Bart. Viking personnalisé, modifié des éléments et peint morceau de cheveux et la barbe. That is one of the new Santa Beards, just painted it yellow. Hello ! I like your site ! I was wondering : where did you get the berserker’s axes ? Thanks. Thank You, I hope to get more up as time goes on. I don’t really know where the axes come from, I got these on eBay.